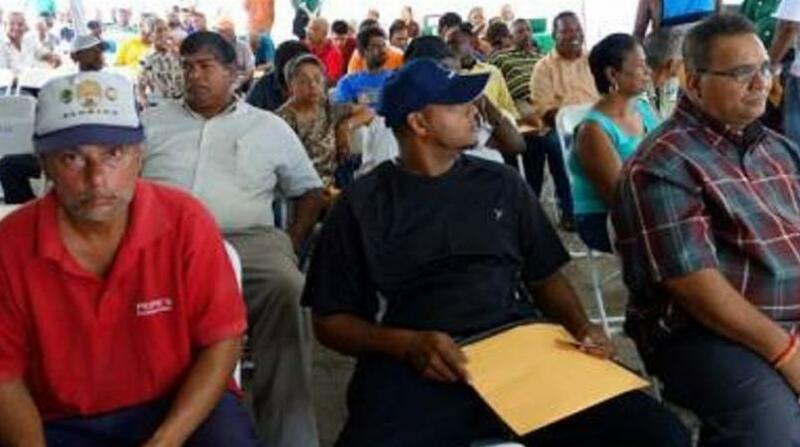 Ex-Caroni workers: Where are our VSEPs? Caroni workers are asking for updates on their VSEP packages saying they have not heard from Agriculture, Lands and Fisheries Minister, Clarence Rambharat. In a release, President of the All Trinidad General Workers’ Trade Union, Nirvan Maharaj, said he is calling on Rambharat to state exactly what is the status concerning the distribution of lands and leases to Ex-Caroni Workers and also the status of the infrastructural development of these lands. "Minister Rambharat is fully aware, being the Corporate Secretary at Caroni (1975) Ltd at the time of the shutdown, that these lands, agreed to by the then PNM Government are the legitimate Retrenchment and Severance Package of thousands of Ex-Caroni Workers, who are still waiting to get their VSEP package, almost thirteen years after the Sugar Industry was shut down." "We wish to remind the Minister that on assuming the portfolio of Minister of Agriculture, Land and Fisheries he promised that in one year’s time, this long outstanding issue would be positively concluded." "To date thousands of Ex-Caroni workers are still waiting for their residential and agriculture leases, while subsequent governments have continuously breached the Mandatory Court Order of the Deyalsingh Judgment of 2007 and the Consent Order of the Industrial Court of 2003." "In this time of economic downturn and an increasingly volatile industrial climate, this Nation, this Government, this Opposition and those in authority must not be allowed to forget that there are thousands of Ex-Caroni Workers waiting, not on a gift or a handout, but on a legal entitlement due to them by law." "There seems to be a stony silence by many non-governmental organizations and groups in this country, who speak of every issue and every other group, but who continuously turn a blind eye to the plight of the Ex-Caroni workers and the fact that they are waiting over thirteen years for a severance package, a clear violation of the rule of law; fairness and an abuse of the Industrial Relations process." He said some ex-workers have since died without receiving their VSEP packages. "There is no doubt that no other group of people has been as unfairly treated in this country as the Ex-Caroni workers have been. Almost twenty-five percent have died, without having received what was due to them by law and even their children are unsure as to what is happening to the Retrenchment and Severance Package that is now beneficially due to them." Maharaj said he is calling on Minister Rambharat to respond. "We are calling on Minister Rambharat and the Honourable Prime Minister to act now, to do the right thing and bring an end to the suffering, frustration and misery of this group of people, the Ex-Caroni Workers, who would have laboured, sometimes in the worst conditions, to serve our beloved nation, to survive and to build a life for their families." On April 4, 2017, the Agriculture Ministry distributed over 700 leases to former Caroni workers at a Lease Distribution Ceremony in Couva. In December 2016, Rambharat said his Ministry planned to clear the backlog for distribution of Caroni residential and agricultural lands by mid-2017.